Wednesday morning tropical green but I’m not in the tropics. I’m at work. 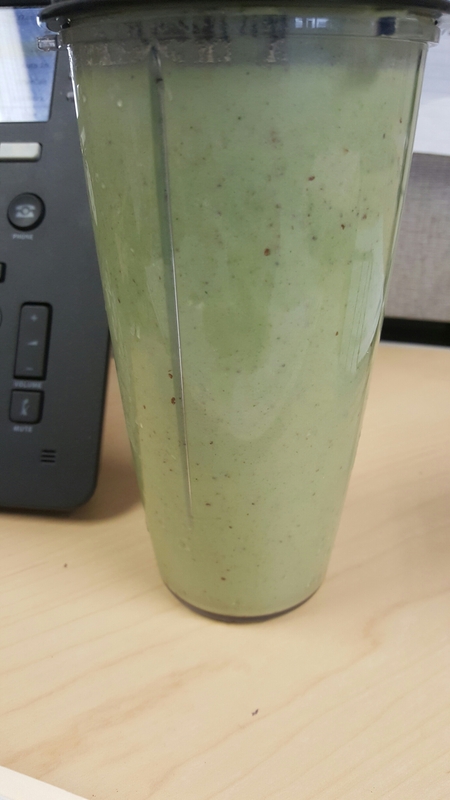 Coconut flaxseed, pineapples, bananas, kale and spinach topped with vanilla yogurt with ice. Yummy. This entry was posted in Fit and tagged diet, motivation, smoothie. Bookmark the permalink.